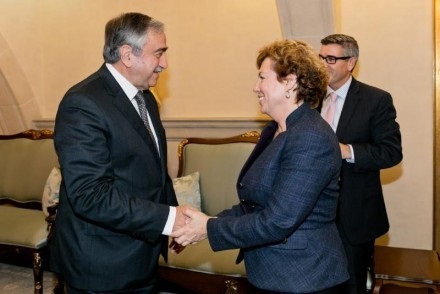 President Mustafa Akıncı has met with the US Ambassador to South Cyprus, Kathleen Doherty ahead of international conference in Geneva in January. Presidential Special Advisor for Diplomacy and the EU Erhan Erçin and Presidential Advisor for Political Affairs and History Meltem Onurkan Samani were also present at the meeting….. The negotiators met again yesterday within the framework of the ongoing negotiations to find a solution to the Cyprus question. Turkish Cypriot Negotiator Özdil Nami and Greek Cypriot Negotiator Andreas Mavroyiannis held a meeting for about three hours yesterday. They discussed the economy issue at the meeting. 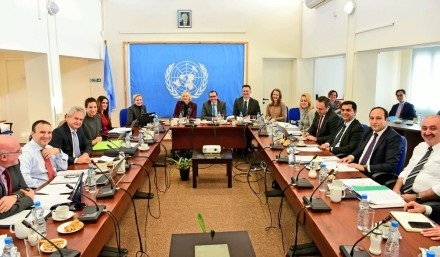 The UN Secretary General’s Special Advisor on Cyprus Espen Barth Eide, Presidential Spokesperson Barış Burcu, Special Advisor for Diplomacy and the EU Erhan Erçin and the Economy Working Committee Members were also present at the meeting. An official delegation from the TRNC has attended the Travel Turkey Izmir Tourism Fair and Congress, which was held in İzmir between 8 – 11 December 2016. The congress was organized by TÜRSAB – The Association of Turkish Travel Agencies and İZFAŞ – under the patronage of the Republic of Turkey’s Ministry of Culture & Tourism. 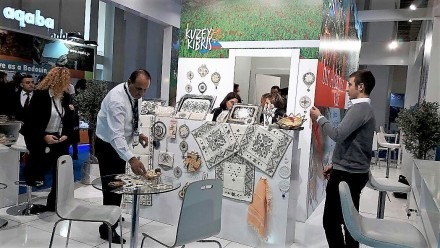 Representatives from travel agencies, tour operators, business, ministries, consulates, hotels and holiday villages from 36 different countries and 60 provinces attended the fair which is one of the leading tourism markets in Turkey. This entry was posted in News and tagged Andreas Mavroyiannis, Özdil Nami, Cyprus negotiations, Kathleen Ann Doherty, Mustafa Akıncı, North Cyprus, Travel Turkey Izmir Tourism Fair and Congress, TRNC. Bookmark the permalink.